When last we heard about Amazon Game Studios’ arena battler Breakaway, it was effectively put on hiatus to let the dev team “take the time to iterate and evolve Breakaway’s core gameplay.” Like pushing B in a Pokemon game, that evolution has stopped abruptly. The announcement was posted on the Breakaway subreddit, where “the Breakaway Team” states that they didn’t “achieve the breakthrough that made the game what we all hoped it could be” and “Breakaway is no longer in active development.” The door isn’t actually totally shut, since there’s the tiniest promise that “a thunderbolt of inspiration” could bring the game back to life, but I wouldn’t take those odds. While never officially, publicly announced as free-to-play, there were hints that promoted it as such that were swiftly removed. And, now that the game’s officially dead, I feel like I can reveal the result of my inquiries into the game’s payment model that I made around the time of its announcement. It probably won’t get anyone in trouble at this stage, but I’ll still edit out personal info, just in case. So … that was curious, no? 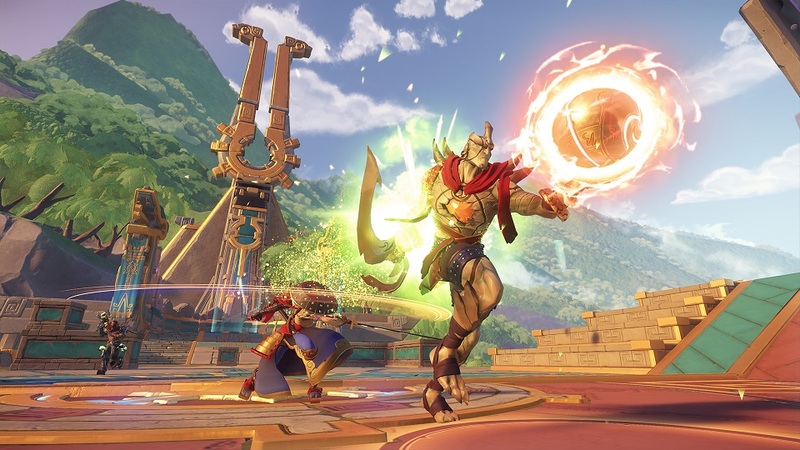 Free-to-play or not, it doesn’t look like Amazon Game Studios felt like Breakaway could carve out enough of a niche to make it a viable product.